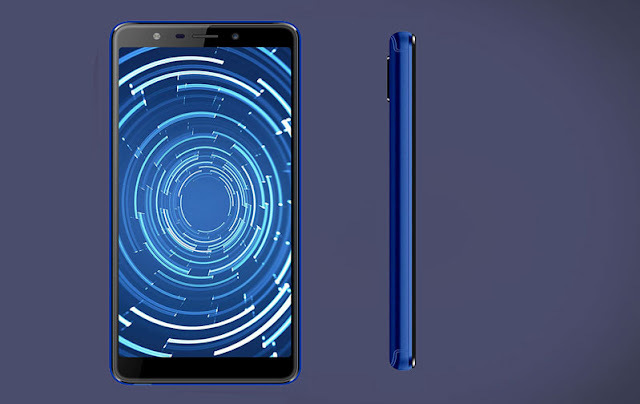 Realme 1 is powered by Android Oreo 8.1, the Realme 1 64GB variant is equipped by an octa-core MediaTek Helio P60 processor which is really very fast and 4GB of RAM. The RAM mnagement in this phone is very good. This phone comes with an 8MP of front camera and a 13MP of rear camera. It has 64GB of internal storage and equpped with a 6-inch Full HD+ display and this phone looks very good. The smartphone has the facial recognition security system and it has a 3,410mAh battery. The battey backup in realme 1 is better than redme note 5 pro because of its processor. Realme 2 is one of the best smartphone under 10,000. This phone is furnished with dual camera setup. It has 13+2MP rear cameras and an 8MP front-facing camera. 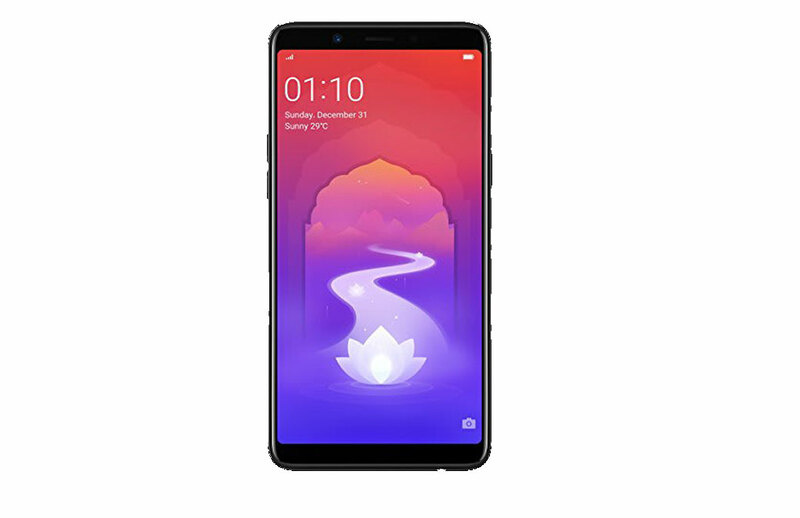 The RealMe 2 is equipped with a 6.2-inch HD+ display. The smartphone is loaded with 32GB of expandable internal storage space and it is powered by an octa-core Snapdragon 450 processor and 3GB of RAM. The device is by a 4,230mAh battery and it provides very good battey backup,the smartphone has a fingerprint sensor which is mounted on the back of the phone. 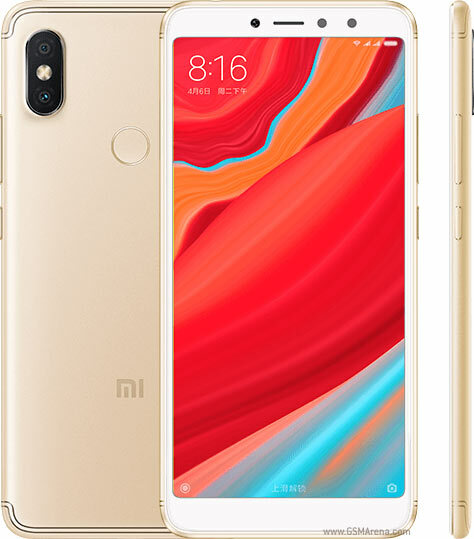 Redmi Y2 is powered by Android Oreo the 8th generation, this Xiaomi Redmi Y2 has a 5.99-inch HD+ display which looks okay.. The smartphone is mechanized by a Snapdragon 625 SOC and 3GB RAM. It has a fingerprint sensor which works fast. It is loaded with a 16MP front and a dual 12+5MP rear camera, the handset comes with an internal storage space of 32GB which can be expanded upt 128GB via a microSD card. It is powered up by a 3,080mAh battery. It gives a day battery backup. Realme C1 is equipped with 1.8 GHz Octa core Qualcomm Snapdragon 450 chipset. It has a 2 GB of RAM which ensures the phone to run smoothly even on multitasking. It shows no signs of lag and 16 GB of internal storage can be expanded via a microSD card.This phone comes with a big 4230 mAh battery. Oppo Realme C1 has dual rear camera setup of 13 + 2 megapixels. 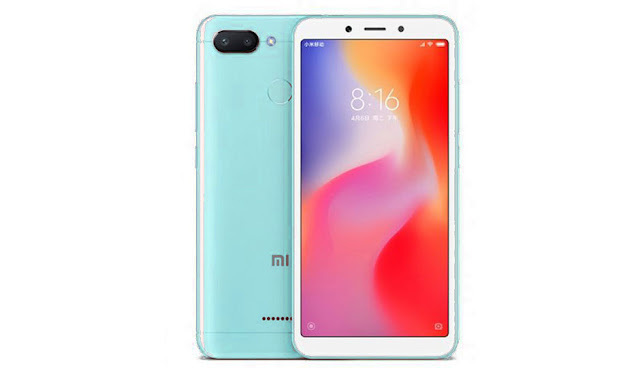 Xiaomi Redmi 6 64GB is equipped by a 2 GHz Octa core Mediatek MT6762 Helio P22 Processor. It has a 3GB of RAM and a PowerVR GE8320 graphics processor which ensures the phone to run smoothly even on multitasking. It shows no signs of lag. It has 64GB of internal storage which can be expanded to 256 GB via a microSD card. This phone comes with a large 3000 mAh battery to power it's 5.45 inch screen with IPS LCD display with a resolution of 720 x 1440 at 295 ppi. Xiaomi Redmi 6 64GB has dual a primary camera of 12 + 5 MP and 5MP front Camera. It also supports Face Detection for security and high dynamic range(HDR) imaging. Processor- Mediatek MT6762 Helio P22 Processor. Smartphone manufacturer Panasonic has launched the Eluga Ray 530 handset at very less price. They priced less than Rs 9,000. The price of this phone is Rs 8,999.00. This phone can be bought in two clour variant (black and blue color variants). This phone will be made available at many online marketplace including Amazon. Based on price, this phone will be collided with the recently launched Lenovo K9. Its price is also 8,999 rupees. This phone supports dual-SIM. This phone works on Android 8.0 Orio. It has a 5.7 inch HD display. Its pixel resolution is 1440x720. It has a infinity display means its aspect ratio is 18: 9. This phone is equipped with 1.3 GHz quad-core processor and a 3 GB RAM. It has 32GB of internal storage which can be expanded up to 128 GB via microSD card. To provid power to the phone, a 3000 mAh battery is provided. For the videography and photography , the phone has a 13-megapixels camera with autofocus lens and LED flash. Its rear camera comes with Bokeh effect/ It has time-lapse and auto-scene detection support. In addition, the phone has a 5-megapixels front camera which comes with a selfie flash and I think it the best part of this mobile.The phone has face unlock feature for the security of the phone. For connectivity, this phone has almost all the importaant features such as 4G VoLTE, Wi-Fi 802.11 b / g / n, Bluetooth v4.1, GPS / A-GPS, Micro-USB, 3.5mm headphone jack and FM radio. This phone works on android Orio based on ZUI 3.9. It has a 5.7-inch HD + display. Its aspect ratio is 18: 9. A 2.5-D glass protection has been given on its screen. This phone is equipped with 2.0 GHz MediaTek MT6762 Octa-core processor and 3 GB RAM. It has 32GB of internal storage that can be expanded up to 128 GB via external microSD card. To give power to this phone, 3000 mAh battery is provided. For photography it has a 13-megapixel primary rear camera and 5 megapixel secondary camera. Dual camera sensors are also provided on the front panel with the dual rear camera. Its first sensor is 13 megapixels and the second sensor is 5 megapixels. Front and rear cameras come with flash. For connectivity, features such as 4G LTE, Wi-Fi, Bluetooth, USB Type-C and 3.5mm audio jack have been provided in the phone. I am going to review Realme 2 Pro. 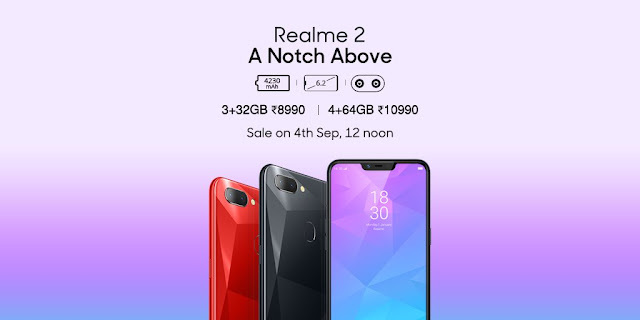 Realme has launched its third mobile Realme 2 Pro. The mobile has been launched in three RAM variants and three color options also. Theis mobile has been launched in mid-range segement to compete Redmi's and Nokia 6.1 Plus. Let's know if Realme 2 Pro can create a challenge for both of these mobiles. 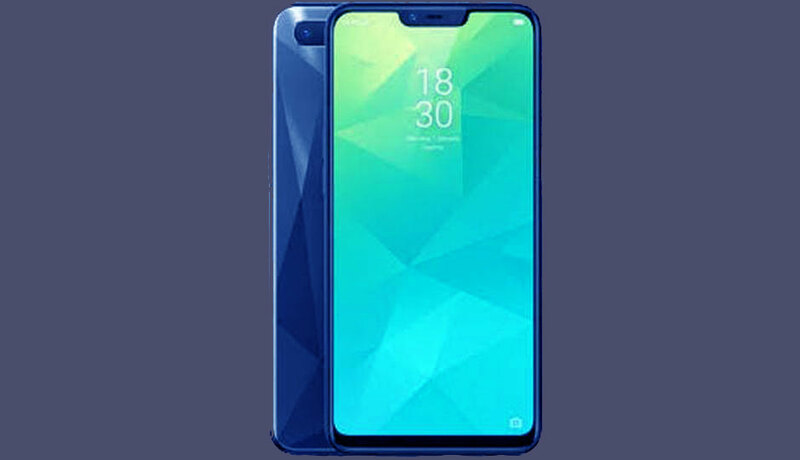 If we talk about is the design, this mobile is the most powerful mobile of Realme Series by Oppo. 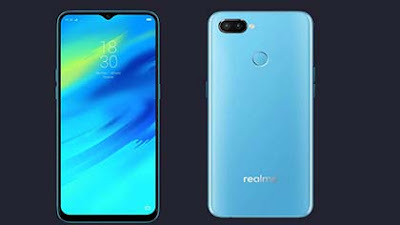 The design, color options and textures of this mobile are quite different from the other phone of the Realme series. This phone is launched with new water-drop Novel feature and Crystal Back cover. The design and texture of the phone is much premium from other mobiles at this price range. The phone comes with a heat resistance technology, impact resistance, high color saturation and transparent glass design. Realme has transpired it through the lamination of the phone from 13 to 15 levels. The looks of the phone looks like premium and better than Nokia 6.1 Plus. Talking about the display feature of the phone, it has a large 6.3 inch water-dew-drop screen. The aspect ratio of the screen is very nice. It provides 19.5: 9 ration. If you want to know about display protection, Corning Gorilla Glass Protection has been given in this phone. The water-dew-drop of this mobile is similar to the VivoV11 Pro. This mobile has also been launched in India and sale has been started at Flipkrat. The same feature can be given in OnePlus's upcoming mobile OnePlus 6T. This phone of the realme series, equipped with a latest technology like this, is absolutely a bezel-less. According to the claim of the company, the screen-to-body ratio is given 90.8% (percent). Talking about the performance of the phone, in the same way, the phone runs on Android Oreo 8.0 and Color Os 5.2 user interface and generally this Os can be seen in all the Oppo phones. This phone comes in 3 RAM variants 4GB RAM variants, 6GB RAM variants and 8GB RAM variants. 64GB storage is provided with 4GB and 6GB of RAM. Whereas, 256GB of storage is given with 8GB of RAM. This phone supports dual 4G and dual VoLTE. Qualcomm Snapdragon 660 AIE processor is equipped with Adreno 512 GPU and Qualcomm sensor hub and HVX. The 8GB RAM variant uses 40 percent less battery than other memory variants because only this variant is lunched with UFS memory. If you are heavy user then it is for you, Multitasking and gaming are very comfortable in the phone. This kind of game-play experience gets noticed in premium mobiles. But the phone get slightly heated while playing PUBG. Now let’s talk about security features, a fingerprint sensor has been given in the back. The Face Unlock feature is also included with it which is really very fast, both features work very good. Apart from this, there is also a Smart Lock feature. The phone also features a feature tagging of locations and records. If you visit anywhere and you mark it as a Trusted place, then the device automatically unlocks if it goes there. Let’s talk about of the camera features of the phone, Realme 2 Pro has a 16-megapixel AI Dual Camera. The primary rear camera comes with a 16-megapixel Sony IMX398 sensor, which has an aperture of f / 1.7 and secondary camera is of 2-megapixels. You can buy very cheap accessories using Amazon Coupons from Amazon. Fast capture dual core has been given to capture the image. So it captures the photos very fast. The secondary camera of the phone comes with the AR stickers and several Prototype modes. Talking about the phone's selfie camera, it has a 16-megapixel front camera, which comes with Smart Exposure and Contrast Sustainability Ratio which can take better picture. You can also capture 4K video from the phone. By using professional mode you can change shutter speed, ISO and other settings. Most important thing of the phone is battery. So let’s talk about it. The battery of the phone is of 3,500 mAh. Which supports the micro-USB. The battery performance of the phone is very good, once you full charge you can use it for one or more than one day. Realme 2 Pro's 4GB RAM and 64GB storage cost 13,990 rupees, so it is value for money and can consider this variant. At the same time, the cost of 6GB RAM and 64GB storage is Rs 15,990, it little less value for money. However, the cost of 8GB RAM and 128GB storage is Rs 17,990.00, this variant is nice because Realme has used premium memory in this variant. The phone is much better than the other mobiles in this range. Apart from this, the phone is great for gaming lovers, and Selfie Lover too will not be disappointed by buying this phone. There is no problem in online video streaming on the phone.